Boss : Where were you born? Two Sardars were fixing a bomb in a car. Sardar 1 : What would you do if the bomb explodes while fixing? Sardar 2 : Don't worry, I have one more! Sardar : What is the name of your car? Sardar joined new job. First day he worked till late evening on the computer. Boss was happy and asked what he did till evening. Museum Administrator : You stupid! That's a 500-year-old statue you've broken! At the scene of an accident, a man was crying. Man : Oh God! I have lost my hand, oh!!! Sardar : Control yourself sir. Don't cry. See that man. He has lost his head. Is he crying? Sardar : You cheated me! Interviewer : How does an electric motor run? Tourist : Whose skeleton is that? Tourist : Who's that smaller skeleton next to it? Linda is giving away a few info about herself. Please grab a copy of 'Mobile World' at your nearest bookstore! 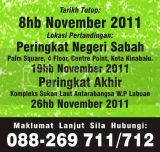 Received this from fellow blogger through e-mail. I can't resist it, I have to blog it here. 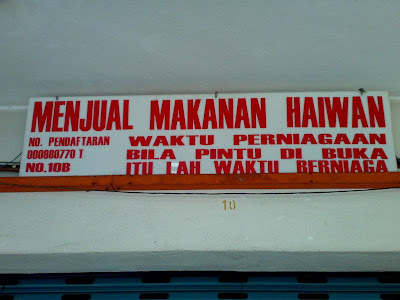 The owner of this shop is a real genius LoL!! Ralph and Edna were both patients in a mental hospital. One day while they were walking past the hospital swimming pool. Ralph suddenly jumped into the deep end. He sank to the bottom of the pool and stayed there. Edna promptly jumped in to save him. She swam to the bottom and pulled him out. When she went to tell Edna the news she said, "Edna, I have good news and bad news. The good news is you're being discharged, since you were able to rationally respond to a crisis by jumping in and saving the life of the person you love. I have concluded that your act displays sound mindedness. The bad news is, Ralph hung himself in the bathroom with his bathrobe belt right after you saved him. I am so sorry, but he's dead"
Edna replied, "He didn't hang himself, I put him there to dry. How soon can I go home?" 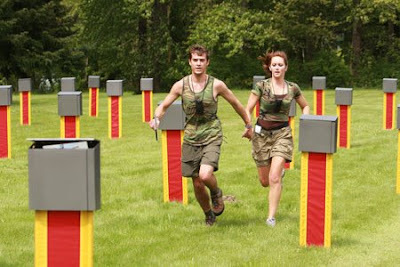 The Amazing Race 13 - Nick & Starr Won! 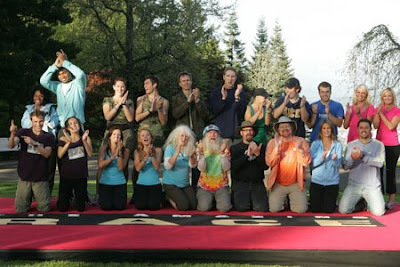 To my delight, the siblings, Nick and Star won the Amazing Race season 13! Their great teamwork was unquestionable. It was amazing to watch them doing every task with full of determination and most important is, they don't give up easily. Ken and Tina were always ahead of them in each task but the siblings were always the first to finish. I am so happy for them! Ken & Tina took the second place. They didn't win but their relationship works. Good luck to them! Andrew and Dan were just satisfied at third place. Now the Race is finished :( my night will be dull every Monday and Thursday. I just hope they can speed up the season 14!!! Oh crap! I really wanted Toni & Dallas in the final 3. But due to Dallas' carelessness they were eliminated just before the finals. Who would be the luckiest and win the USD1million??? I hope it would be the siblings, Nick & Starr! I really love to see them win this Race. Tune in to AXN tomorrow night to find out!